The clash between Uruguay and Russia will be played at the Cosmos Arena in Samara on June 25th. The Sky Blues had plenty of luck to record a couple of minimal wins but didn’t impress unlike the Sbornaya who deserved to win in both matches over Saudi Arabia and Egypt, and thanks to a better goal difference, the Russians need a point to remain at the top of the group. Uruguay booked another 1-0 victory at the World Cup, but once again, they displayed a rather unimpressive performance and the only goal in the match against Saudi Arabia came lucky thanks to goalkeeper Al Owais’ misjudged cross which landed on Luis Suarez’s foot who made it 1-0 in the 23rd minute. That was the only goal in the clash and the Sky Blues secured their place in the Round of 16, but they need to win against Russia if they want to finish the group stage in the first place. On the other hand, Russia beat Egypt 3-1 and justified the role of a favorite at -105, but it didn’t look that they will win comfortably after the first half which ended 0-0. However, an own goal from Ahmed Fathy opened the scoring in the 47th minute, and the Sbornaya fully took advantage of the situation to finish off the Pharaohs with two more goals from Denis Cheryshev and Artem Dzyuba. That was a great moment for the punters who bet on over 2.5 goals at +150, while Mohamed Salah’s consolation goal from the penalty spot in the 73rd minute made a profit to those who backed BTTS at +110. Edinson Cavani didn’t have the luck to open his account at the World Cup, and he is surely eager to get on the scoresheet against the hosts, so he is a man to watch rather than his colleague from the attack Suarez. Artem Dzyuba already scored a couple of goals at the tournament and he proved to be more useful than Fedor Smolov, so it’s going to be interesting to see the towering striker in a matchup with Diego Godin and Jose Gimenez, who kept the clean sheet in the first two games. Uruguay: Muslera; Varela, Godin, Gimenez, Caceres; Vecino, Bentancur, Rodriguez, Sanchez; Cavani, Suarez. Russia: Akinfeev; Fernandes; Kutepov, Ignashevich, Zhirkov; Zobnin, Gazinskiy; Samedov, Golovin, Cheryshev; Dzyuba. Uruguay’s chances to lift the trophy in Russia are +2800, while the Sky Blues are +110 to make it to the quarter-finals. Russia’s chances to win the World Cup are up to +4000, while the Sbornaya is +240 to reach the quarter-finals. 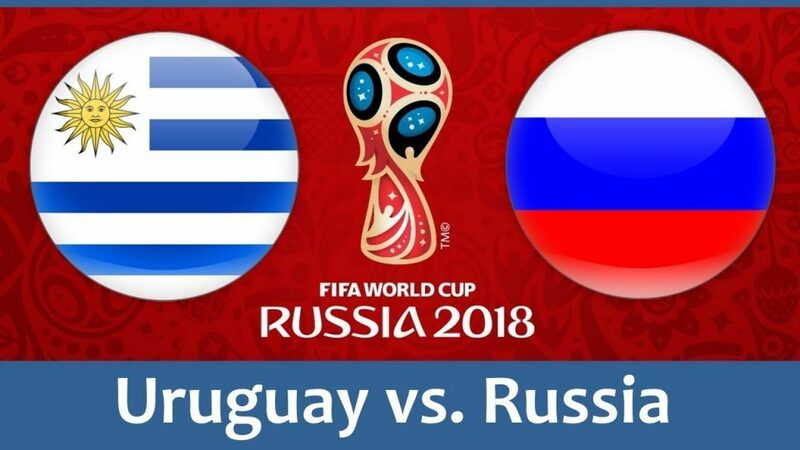 It’s going to be a real battle on both ends of the pitch and although the Sky blues are slight favorites at +162, the Russian will try to force a draw as they need only a point to stay at the top of the group, so I think a draw is probably the best bet on this one.